I love A Tribe Called Red. I had the great pleasure of catching the group at Bonnaroo in 2014 and I have been a fan ever since. Coming from Ottawa, Ontario ATCR seamlessly blends hip hop, moombahton, and dub-step sounds with elements of First Nations music. They are gearing up to release their third album, We Are Halluci Nation, on September 16th and I can’t wait. 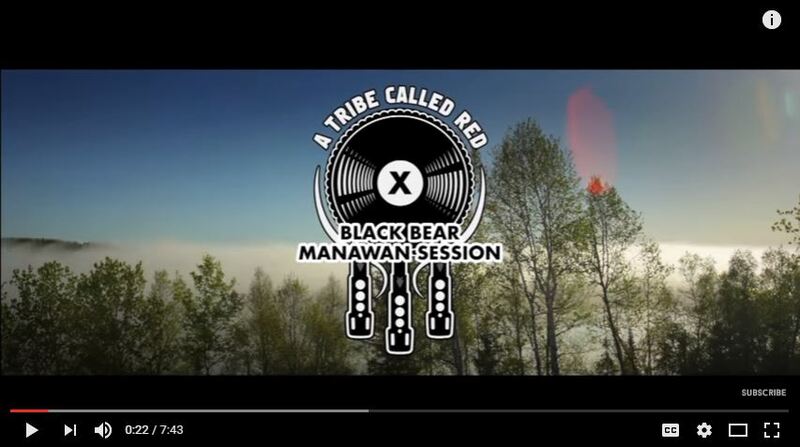 ATCR recently filmed a mini documentary called ‘The Manawan Session’ which documents the group travelling to the community of Manawan, Quebec to work with the Black Bear drum group. Check out the video below and stream their 1st single off of We Are Halluci Nation below.